Note: as a GPHG jury member, Quill & Pad editor-in-chief Elizabeth Doerr is excluded from this panel. IS: Arrrggghhhhhh!!!!!! What on earth was the jury thinking during the pre-selection process? How the Akrivia AK-06 did not make the shortlist is beyond me. At Baselworld 2017 the AK-06 was lauded by journalists and collectors alike, and for many (myself included) this was the watch of the fair. I appreciate that the competition in the Men’s category is extremely tough this year, but how the Grand Seiko, which I consider a very nice watch but one that breaks absolutely zero new ground in either its design or mechanics, or the A. Lange & Söhne Lange 1 Moonphase, which is admittedly a beautiful watch, but one that adds a moon phase module to a 13-year-old design and movement, managed to pip the Akrivia AK-06 is beyond me. In fact, how the Grand Seiko and A. Lange & Söhne pushed out the Lang & Heyne Georg and the Romain Gauthier Insight Micro Rotor is also a mystery to me. That will teach them to actually develop something that’s actually new for 2017! I suppose that I should be grateful that the Tudor Black Bay wasn’t shortlisted as well, as it’s another watch that I’d happily have on my wrist but also just another variation of a model that we have already seen too many times before. Whether the Akrivia’s rejection was due to some of the jury being influenced by politics (include Seiko so we don’t appear too Swiss or European? ), or the lack of experience of some jury members without the possibility of discussing with more knowledgeable colleagues (this first vote was a mail-in ballot), or something else entirely, we are unlikely to know. But I hope there is at least a modicum of soul searching going on within the GPHG jury because the message broadcasting to brands comes across loud and clear: don’t bother innovating; we look to the past, not the future. Please don’t think that I’m disparaging the Grand Seiko and A. Lange & Söhne Lange 1 Moonphase, they are both absolutely fantastic watches, but in my opinion just don’t break enough new ground visually or technically compared to others in this exceptionally competitive 2017 field. MG: Could the offerings be any more diverse than in this category? Not only in terms of design, but also regarding their complexity; this shortlist almost represents the complete spectrum of haute horlogerie in this category. I think this is a very clear statement in favor of the idea that it is not the lack of diversity causing rough times for the industry. GG: Last year, the winner in this category was a no-brainer as far as I was concerned, and it seems as if the jury agreed with me as it selected the Grönefeld 1941 Remontoire as the top Men’s piece of 2016 (see What We Liked And What We Didn’t At The 2016 Grand Prix d’Horlogerie de Genève). This year the best watch nominated in the Men’s category was also a no-brainer for me: the beautiful, inventive, and gorgeously made AK-06 by Akrivia, which was my overall “watch of the show” at Baselworld 2017 (see Baselworld 2017 Round Table: What We Liked And What We Didn’t Like). Rather unfortunately, the jury seems not to have received the memo this time as it inexplicably failed to pre-select the Akrivia for final consideration. While each of the watches that is in the finalist group has its merits, I’m going to be scratching my head about the omission of the Akrivia for a very long time indeed. JM: The Men’s category might always be one of the toughest to judge, simply because choosing the best watch that exemplifies a men’s watch is much more subjective than something like the mechanical exception category. There can be so many personal requirements for what a man wants to wear, especially as an everyday watch. I feel that’s why we have such a wide variation within one category, with each being incredible while totally different. The jury definitely has a tough time ahead as my choices will show, though if the jury members think like I did, they might come up with the winner I chose. I will say as a point of note that according to the rules, watches in the men’s watch category can comprise “two at most of the following indications: date, power reserve, classic moon phase . . .” which means, sadly, the A. Lange & Söhne Lange 1 Moonphase technically isn’t eligible. And while I am sad it won’t be included, it does make choosing a winner just a fraction of a bit easier. Still, trying to say which one is more deserving is like pulling teeth in this category, because they are all so different yet great men’s pieces. IS: Thanks for pointing that out, Joshua. That’s yet another reason to lament the absence of the Akriva AK-O6 here. RS: There are two watches in this selection that I have had the privilege to handle and are on a shortlist of watches that I MUST own one day. As such I may be blinded by my own besotted bias, but I expect there is something objectively outstanding about both to cause a flutter or two of the judges’ heartstrings. These watches are the A. Lange & Söhne Lange 1 Moonphase and the Greubel Forsey Signature 1. The Signature 1 is my favorite. When I first saw it alongside the Lange 1 Moonphase I was very concerned: I knew I was going to have to choose between two beloved watches. But then I was relieved as it dawned on me that the watch came out in 2016. Offering up a platinum iteration of an older model is easy to dismiss against a genuinely new watch with a new complication. But the relief was short-lived as it also dawned on me that Stephen Forsey was on the jury as the winner of the previous year’s Aiguille d’Or and so lost the opportunity to submit the then-new Signature 1. So here I am forced to choose between two watches I adore. IS: If you thought by my introductory diatribe that I was against retro and re-editions, it would be perfectly understandable. But wrong. I not only like well-executed retro-style watches; I appreciate just how hard it is to pull off. Think of the excellent designs of the modern Mini and Fiat 500, both of which recall a fun past, compared to the new Volkswagen Beatle, which lacks that je ne sais quoi. The Grand Seiko Re-Creation has that magic, and you can tell that because you could easily think it was an old 1960s Grand Seiko in excellent condition –until you put the new and the old models side by side, which is when you can see just how profound and how subtle the differences are. When I handled the Grand Seiko Re-Creation at Baselworld earlier this year, I wanted one. And I congratulate Seiko for so successfully pulling off such a difficult design that could so easily have backfired. The Grand Seiko Re-Creation of the First Grand Seiko is a world-class watch, but in my opinion, the Grand Prix should be rewarding innovation in haute horlogerie, not retrospection. MG: I have a very hard time warming up to Grand Seikos, and this one is no exception. It is a beautiful watch containing solid movement, but to me there is nothing that makes it truly special. It is like a Lexus before it adopted a Manga version of the Audi grille, one of the best cars out there – but never one that makes me say, “Wow!” This one also does not get my blood pumping, especially not in 18-karat yellow gold costing three times the price of the steel version. RS: The Grand Seiko is a lovely watch; I just wish Seiko had entered the platinum or stainless steel version with that gorgeous blued second hand! For more information, please visit www.gphg.org/horlogerie/en/watches/re-creation-first-grand-seiko. Further reading: Grand Seiko: A New Direction With New Models For 2017. MG: The Lange 1 is one of the gold standards when it comes to high-end watches, and this moon phase edition confirms why this is once more. It is one of those watches that is perfect from its birth onward, both inside and out. A delight to see, an equal delight to wear, and more importantly even after decades you won’t get tired of it. I am so in love with the day-and-night indicator that this watch would have been the sure winner for me had Bulgari not launched the Octo Finissimo Automatic. GG: Once I realized that I was going to have to do some actual work to pick a winner in this category, I narrowed my consideration set to three: the Bulgari, the Hermès, and the A. Lange & Söhne. At the end of the day, for me the Men’s category is about a watch that as a man I would be pleased to see on my wrist on a regular, or even daily, basis. This year, that watch is the A. Lange & Söhne Lange 1 Moonphase. The idea of combining a day-night indication with a moon phase in the same aperture by suspending a gold “moon” in front of a blued, solid gold “sky” disk was both clever and, I am told, quite difficult to do without allowing the moon to scratch the underlying disc. And while I’ve never owned a Lange 1, the specific look of the nominated watch with its white metal case, crisp black dial, and gold-over-blue moon and sky really has the look of a winner. RS: The Lange 1 Moonphase is stunning, and the integrated day/night indicator deserves a win. As a matter of fact, I would be delighted if I was wrong and it did win. But I have one issue: A. Lange & Söhnes does not always match its date wheels with its dials when the dials are black, and this for me is a lost point in an otherwise perfect performance. Had the brand submitted the platinum version I think I would have had to give it my vote. IS: If any further proof of just how competitive I found the 2017 Men’s category to be, the fact that I’m rating the sensational A. Lange & Söhne Lange 1 Moonphase as my number five pick says it all. Such is the reputation of both the brand and the model and its eye-catching and much-loved design that it’s not really even necessary to see a photo of this watch to know you will love it: the words A. Lange & Söhne Lange 1 say it all. It always surprises me how well Lange can add extra indications to that iconic Lange 1 dial without breaking the magic, and the moon phase here is no exception. It’s nearly hard to imagine that there wasn’t always a moon phase on the Lange 1 dial. The Lange 1 Moonphase is an exceptional watch on every level, but just isn’t offering enough in the way of new-for-2017 for me in this field. For more information, please visit www.gphg.org/horlogerie/en/watches/lange-1-moonphase. Further reading: Give Me Five! 5 Off-Center Classics With Asymmetrical Awesomeness! MG: This watch does not add up at all, and because of that it is utterly brilliant. Its design looks like something Gérald Genta might have created in the last part of his career: artistic freedom galore, but not necessarily beautiful in a classical sense. Bulgari is known for its own style, but as an Italian brand this design is way too forced. 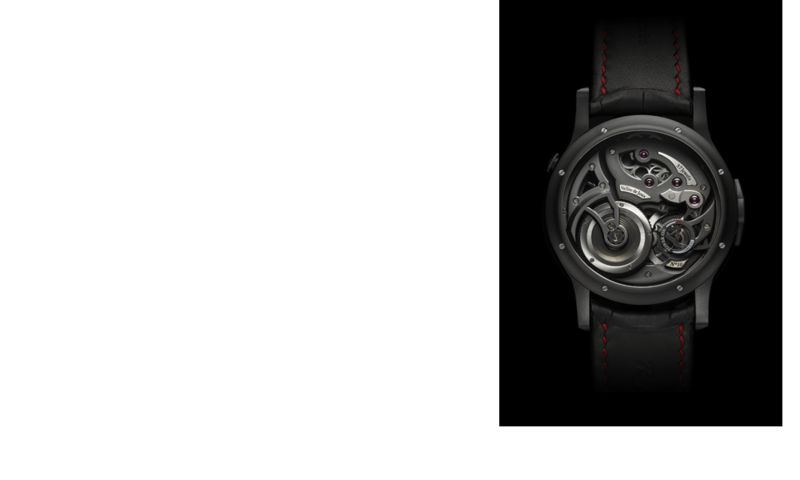 Yet it works, and it works because Bulgari opted to use titanium, combining it with the perfect dial and hands. 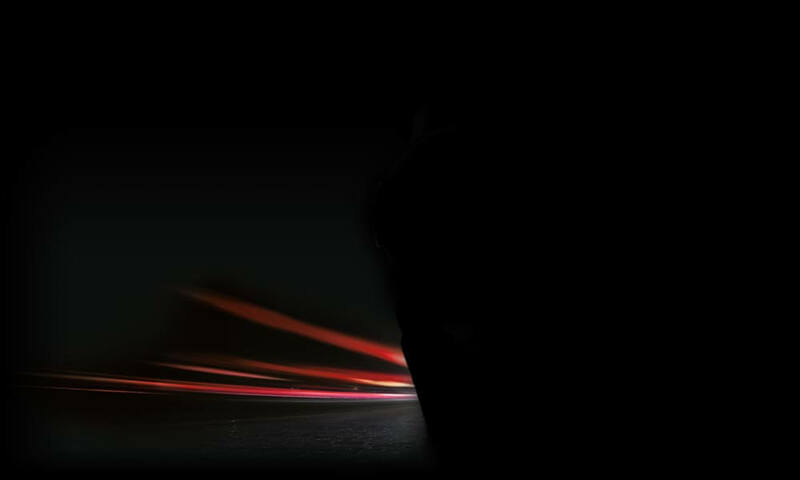 With its record-breaking automatic movement, the brand put the cherry on top, all of a sudden also taking on Piaget’s USP. The brand even keeps the price in check and creates a titanium bracelet that is equally as unique as the watch itself. I am in love! 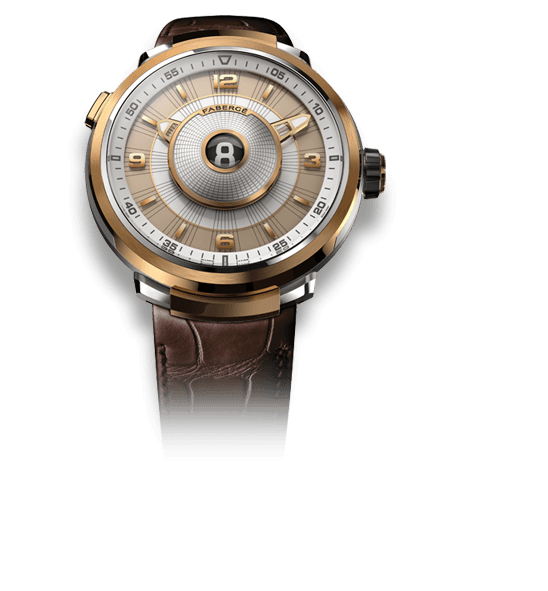 GG: The technical achievement of the Bulgari, putting a self-winding movement into a watch with a total depth of 5.15 mm, was impressive enough to take it to number two on my hit parade. IS: If only the Bulgari Octo Finissimo Automatic had come out in a different year, I could easily see it taking the Men’s category, but in 2017 this world record holding ultra-thin automatic with a phenomenal movement and 5.15 mm case doesn’t even make my top three. That’s neither Bulgari’s fault nor mine, but just that there are (as unlikely as this is), three shortlisted Men’s watches here that I feel are even stronger. JM: The Bulgari Octo Finissimo Automatic is a ridiculously thin watch with an automatic movement. The watch is so thin it holds the world record (something that is becoming a new norm for the brand) as the thinnest automatic watch on the market. The titanium case, dial, and bracelet make for an astoundingly light yet strong watch as well, so it definitely can take the rigors of being a men’s watch while playing the role of the subdued timepiece. RS: Guys, I just can’t get myself to appreciate unpolished titanium. Do I need to open my mind and give this wide wafer a try? The other issue I have is the thickness (thinness?). Was there a big vote a few years ago where the watch-buying public made demands for increasingly thin watches? Perhaps that was the same vote I missed when they asked for date windows to be put on everything? Sorry, I am being mean. This is a really unusual and well executed watch; I just don’t like the contrast between its diameter and its thickness. For more information, please visit, www.gphg.org/horlogerie/en/watches/octo-finissimo-automatic. JM: To choose a winner in this category, I had to play favorites, since every piece would be a fantastic everyday men’s watch. So for the one that I like the most, not as a flashy piece or example of nostalgia, status, or mechanical bravado, I chose the Slim d’Hermès L’Heure Impatiente (I seriously love the Slim d’Hermès line). This watch sits perfectly in the area between flashy and understated thanks to the cream-colored dial with a very modern typeface. It chimes a single note as a reminder, not as noticeably as an alarm yet enough to provide playful enjoyment. The movement developed with Agenhor is fantastic, the rock star movement developer that has been killing it in recent years. The function of the chime aside, the dial displays the current time and the time you are waiting for (“l’heure impatiente”). The case is clean and perfectly proportioned yet a bit more interesting after the first glance. The watch could be the unsung hero of any collection (despite the fact that it does, in fact, sing) as it looks great without screaming for attention. When it comes to men’s watches, that is a general requirement for many and a good thing to remember when talking about a fine everyday watch. I absolutely love every watch in this category, and I would gladly take them all. But if I had to choose the one that actually got me the most excited and the one I would want to wear the most often, it would be the Slim d’Hermès L’Heure Impatiente, and for that reason I think it deserves the highest honor for this category. IS: I had the good fortune to have an early preview of the Hermès L’Heure Impatiente at Agenhor pre-Baselworld and thought it not only the best model that Hermès has made to date, but one of the best watches I’ve ever seen. 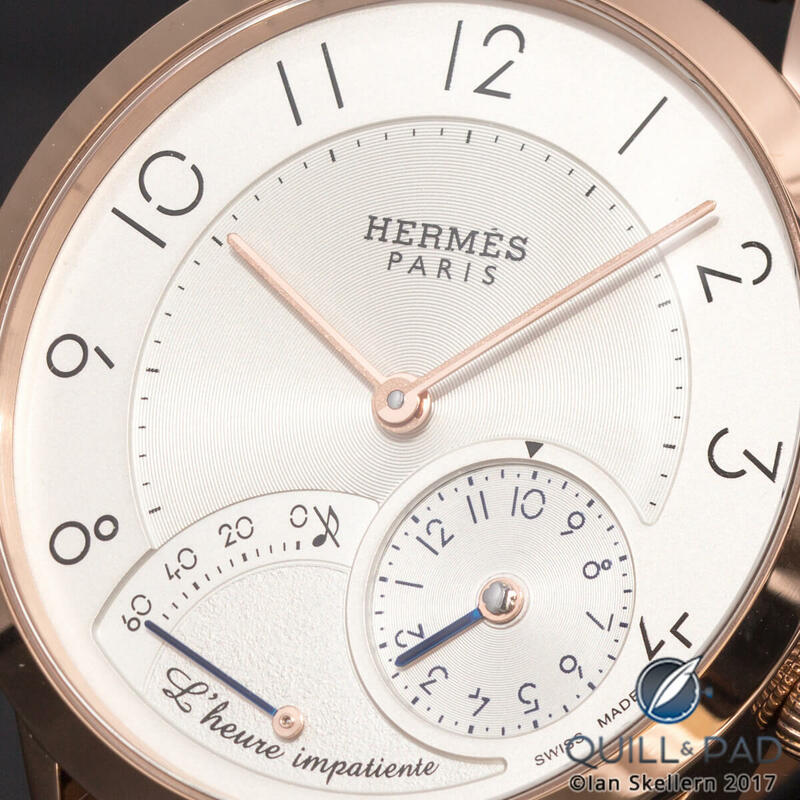 Hermès is known for its understated class, and L’Heure Impatiente has that in spades plus a chiming complication that you are actually likely to use in real life rather than just for entertainment. It is basically an alarm watch with a very discreet ring, and you are forgiven if your first reaction is: what’s the point of that, surely alarms should be loud and insistent? But loud and insistent isn’t Hermès; understated class is.  You set the time for the alarm (though chime is a better word) up to 12 hours in advance on the subdial at 5 o’clock: that may be to signal time to wind up a meeting, for instance. The retrograde indication at 7 o’clock counts down the 60 minutes before the selected time and then a single crystalline chime sounds when the countdown is completed. The sound has amazing clarity for the wearer, but is completely unobtrusive to everyone else, especially as it chimes but once. GG: The whimsical complication of this Hermès, counting down the hours and finally the minutes to an anticipated appointment, was quite appealing to me, and the Slim d’Hermès design is one I’ve liked since it was introduced, taking that watch to the number three spot for me. RS: The Hermès is yet another fantastically packaged Agenhor gem. I really love the concept of this alarm with 60-minute countdown. But I have two issues: first, the alarm dial rotates until the hand and numeral align to the small indicator. This visually competes with the 60-minute countdown function as you can determine the remaining minutes (and hours) quite easily from the dial alone. Second, if you are as impatient as me, 12 hours just isn’t going to cut it! What I want to see is something like the Glashütte Original Senator Diary, which allows you to set an alarm up to 30 days in advance, and a countdown function. Imagine the digits counting down the days, then hours, then minutes! Bring us this, Hermès, and it’s an immediate win. MG: This Hermès could very well be a jury favorite as it is complicated, fun, and, yes, completely in line with the “DNA” of Hermès. I love its playfulness, although the complication itself is about as useful as a chronograph (which I personally hardly ever use except when cooking). Yet the movement developed by Agenhor is created with such care that every detail is perfect, including that note when the striking mechanism finally indicates that the preset moment has arrived. A winner, also in my book if not for that wretched Bulgari. For more information, please visit, www.gphg.org/horlogerie/en/watches/slim-dhermes-lheure-impatiente. Further reading: Hermès Continues Playful Watch Series With Eagerly Awaited L’Heure Impatiente. So I’m biased. And I’ve had the pleasure of knowing and respecting Didier Cretin for the decade plus he has been with Greubel Forsey. Cretin is both an excellent watchmaker and an excellent movement designer. But what underscores the high esteem he is held in at the brand is that his main responsibility at Greubel Forsey is to ensure that the ephemeral thread of what makes a timepiece a Greubel Forsey timepiece − the brand “DNA” − runs through every watch in the collection. 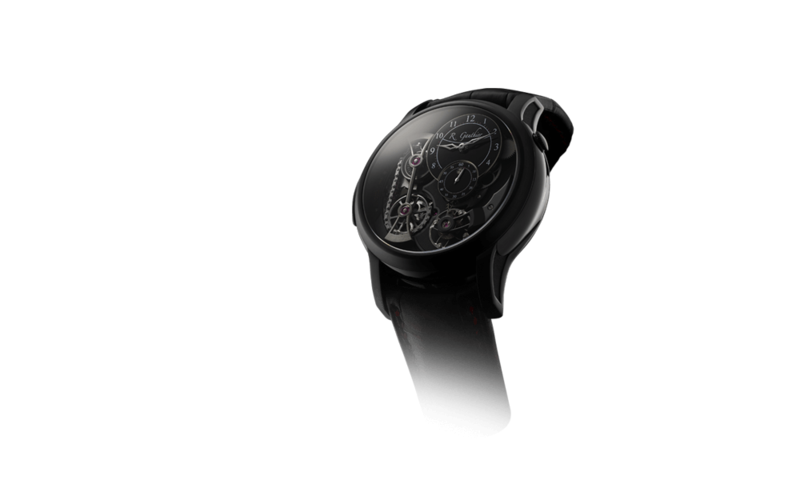 Signature 1 is a collaboration between Greubel Forsey and Cretin. It’s the simplest model in the brand’s collection, and at around $200,000 the most affordable. And if I could have any watch in the Greubel Forsey collection it would be a Signature 1. Did I mention I’m biased? I love seeing the movement from the dial side, and it should be emphasized that this isn’t a watch with the dial removed to display the movement, but has been developed from the ground up to look as it does. As with any Greubel Forsey, superlative hand-finishing and exemplary micro engineering is a given, but it’s the way every little detail is so well thought out that blows me away: check out the click (for an example of that in Signature 1 By Greubel Forsey And Didier Cretin: Traditional In A Non-Traditional Way (And Check Out The Click!). When I first looked at the watches shortlisted in the Men’s category, I thought that picking the winner would be easy: how could anything possibly top Signature 1? RS: And for me none of these watches has topped the Signature 1, Ian: it has no faults. It’s the perfect time-only watch for me. I admire what Cretin has created and I admire Greubel Forsey for providing the time, infrastructure, and backing for this wonderful watch to be realized. It’s hard to convey quite how immaculate the watch is in real life, but the judges will get it, I’m quite sure! GG: The Greubel Forsey is a fairly handsome watch, but for me it violates one of the basic premises of the brand: that a Greubel Forsey watch should incorporate one or more mechanisms (GF goes so far as to call them “inventions”) that are designed to improve timekeeping. And at the microscopic nit level, the cutout in the main dial that allows the entirety of the balance wheel to be seen is simply not for me. 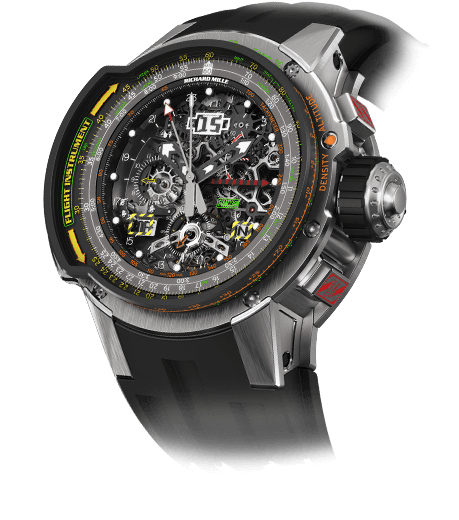 MG: Stephen Forsey and Robert Greubel created a very clever concept by collaborating with other watchmakers within their own organization. This is kind of what Max Büsser does with MB&F, but with a slightly different aim. 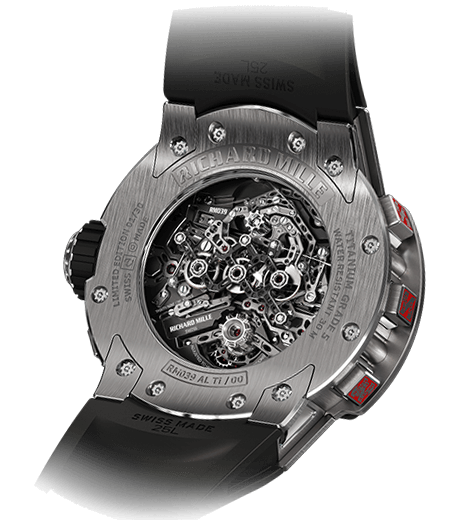 Signature 1 is, in my opinion, one of the grandest understated timepieces in the watch industry. Nobody will truly know how special what you are wearing is unless they are in the know! It is a private pleasure, and maybe even the ultimate horological pleasure for some. It is, however, its price tag that keeps it from the top spot in this category for me. IS: Just a quick note, Martin, that price really shouldn’t be a factor for the jury as there’s nothing in the rules about that. JM: This is the most affordable (relatively) Greubel Forsey watch available, lacking the brand’s other signature, the tourbillon. But the quality is true Greubel Forsey, and the watch is simple while being interesting. It isn’t too flashy or complicated to be an everyday watch, yet you still might lose yourself staring at the legendary Greubel Forsey finishing. It is still a highly detailed watch with tons of depth and character, but it just might sneak in under the radar and work as a great everyday watch. 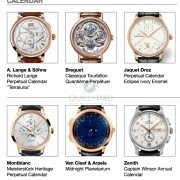 For more information, please visit www.gphg.org/horlogerie/en/watches/signature-1. Further reading: Signature 1 By Greubel Forsey And Didier Cretin: Traditional In A Non-Traditional Way (And Check Out The Click!). IS: As you are now likely to be well aware, no matter how good they are I have an extremely low tolerance for seeing shortlisted watches that are basically just variations on previous models. And my first glance at the Men’s shortlist had me scratching my head at the fact that, because his case designs, movements, hand-finishing and dials for so good, “all” Kari Voutilainen had to do to win each year was to come up with a stunning new dial: and he owns a dial factory, for heaven’s sake! They should just change the GPHG Men’s category to Best Voutilainen and be done with it! Now I’ve greatly exaggerated the ease at which Voutilainen seems to win because each of his winning models has a different superlative movement. But because of the distinctive drop-dead-gorgeous cases (why so few brands seem to understand just how attractive teardrop lugs are is beyond me!) and dials, they do all look like they could be variations on the same model. So in my spoiled-brat, I-will-only-consider-genuinely-new-watches-with-interesting-and-ideally-exciting-designs-and/or-movements frame of mind, I took one glance at 28ISO and thought: yet another stunning Voutilainen, but hardly revolutionary and certainly not a watch to dethrone my clear favorite, Signature 1 by Greubel Forsey and Didier Cretin. How many times have you glanced at your watch to check the time and somebody nearby asks you the time and you have to look again because you’ve no idea? Often, most likely. That’s because you are not actually really reading the time, your brain just notes the position of the hands and decides if you are early, late, or on time. It’s unlikely that you even register the color of the dial. And Voutilainen thinks that’s a shame, which is understandable when he has put so much thought into his sensational dials. To force the viewer to carefully appreciate the face of the 28ISO, both the minute hand and the minute numerals around the outer chapter ring are constantly in unusual positions. To ensure that the indications are not too disconcerting, the hour hand operates normally. And to make it very easy to keep track of the top of the hour and half hour, which is all we need most of the time, the minute hand overlaps the hour hand at the top of each hour and points directly opposite the hour hand on the half hour. The rest of the time, the hour and minute hands rotate together at a fixed angle (as at 10:10). Now you may be thinking, but if the minute hand rotates at a fixed angle to the hour hand, it must rotate around the dial in 12 hours rather than 60 minutes so how can it possibly indicate the correct minute? That it does is thanks to the fact that the minute chapter ring also rotates at the same speed as the hour hand so that the minutes are always correct but in unexpected positions. When minutes are not essential, you can relax and glance at your watch to see the approximate time via the hour hand. Relax, that it slow and easy. But when you need to know the time more precisely, you are forced to pay close attention, ensuring that you are more likely fully appreciate the sublime qualities of the hand guilloche and enamel dial. New movement, new indications, and a new psychologically powerful concept for telling the time in one of the most beautiful watches I’ve ever seen. That was enough for me to select the Voutilainen 28ISO Enamel as my predicted winner of best Men’s watch 2017. But there’s more: the balance spring is unique in that it has a typical Phillips overcoil at its exterior and a rare Grossmann curve at its interior. And there’s even more: this is the first watch to have two escapement wheels in a special configuration that provides a direct impulse to the balance through the impulse roller/jewel. According to Voutilainen, this escapement is extremely efficient and requires much less energy than traditional lever escapements, offering benefits in terms of longevity and stability in day-to-day use. Why should the Voutilainen 28ISO Enamel should be the GPHG 2017 Best Men’s watch? I rest my case. MG: As much as I love the philosophy behind this watch and its stunning escapement, I get quite annoyed about how you have to read the time on it. It could be fun, but then not with conventional hands, which make it needlessly complicated. That probably says more about me than the watch, but then again I also don’t feel that I have to engage in a deeper intellectual relationship with my timekeeper. GG: I’m with you, Martin. Kari Voutilainen’s novel portrayal of the time, while interesting, answers a question that I’m not asking of a watch in a way that is sufficiently complex that I’m not going to attempt to describe what it does in this conversation. But kudos to you, Ian, for doing just that! RS: The 28ISO is an extremely handsome watch, which is nothing of a surprise from the bench of Voutilainen. If I was only to judge this book by its front and back cover I would have three watches screaming for my first pick. But it’s the time indication that just doesn’t do it for me either, Martin. I am all for whimsy and all for honoring alternative approaches to timekeeping, but the Vingt-8 is one of the “perfect wristwatches” if ever there were such a list; this tweak feels like a small step down from perfection. Just as well there is a stunning Voutilainen in the Artistic Crafts category! JM: Being from the inimitable Kari Voutilainen already gives it a great base to work with. The movement is splendid, the design is lovely, and that dial is fan-freaking-tastic. But the best part about the watch is the unique ISO readout where the hands will always meet on the hour and be on opposite sides on the half hour. This is thanks to a clever mechanism and a clockwise rotating ring for the minutes. The effect is odd at first, but magical over a twelve-hour period. The watch is a little flashy with the emerald green enamel and curvy case shape, but it is a strong runner-up for me as a great everyday watch. Further reading: Exclusive Preview: Kari Voutilainen Watches For SIHH 2017 (Live Photos). For more information on the shortlisted Men’s watches in the GPHG 2017, please visit www.gphg.org/horlogerie/en/gphg-2017/preselected-watches#2017_HOMME. You may also enjoy: Our Predictions For The Ladies Category Of The 2017 Grand Prix d’Horlogerie de Genève. All Im saying (sing it…) it takes a lot to love you, its the look its the look the look of love. Bulgari Octo would get my vote in a split second. Love thin watches, great calibre, original edgy design. Love the warmth of titanium and the understated grey color with a rough finish that would pair with jeans or contrast with silk shirt. I am considering voting for it with my wallet even. Great discussion! I’ve been thinking about your arguments pro and con around the Voutilainen 28ISO Enamel. I think I’m leaning towards a thumbs up here. My reasoning being that one will have at least one other conventional watch to tell the time and this is an unusual way to display the time. I look at this as an interesting puzzle you have to solve to tell the time and as you get used to the watch, it will become second nature. I think watches can be serious as well as fun and whimsical – like the hermes. So I’m leaning towards declaring it the winner, I think it edges the Hermes. The absence of the Akrivia, the Gauthier and Lang & Heyne effectively nullify this round, I’m afraid. It is a shame, because the Swiss should be celebrating the best of independent watchmaking … not re-issued Seikos. If this is how the “industry” thinks, no wonder they are in trouble.